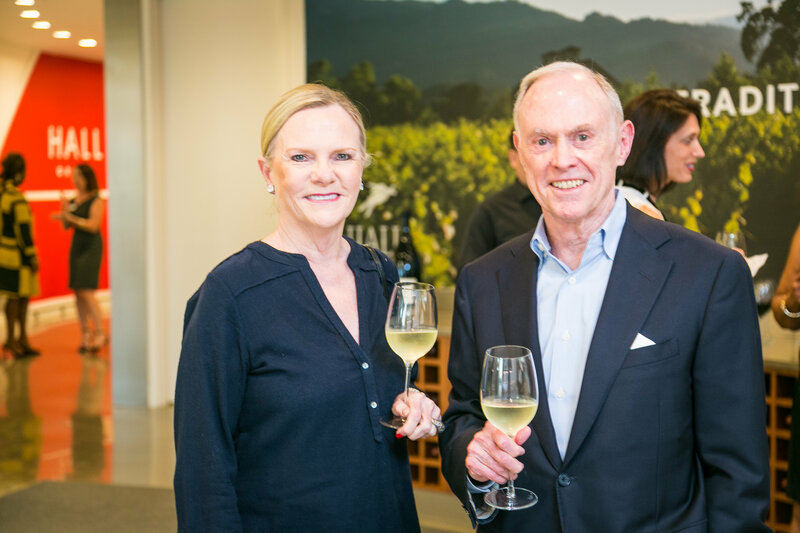 DALLAS, Texas — September 26, 2017 — On September 25th, TACA Board of Governors, TACA Corporate Council, friends and guests gathered to celebrate the announcement of Julie Hersh and Don Stone as the 2018 TACA Silver Cup Award honorees. The announcement was made at HALL Arts and was hosted by HALL Arts Residences. Annette Strauss, the prestigious TACA Silver Cup is awarded each year to recognize one man and one woman for their outstanding contributions to the arts in Dallas. Hersh and Stone will receive their Silver Cups on March 20, 2018, at the Hilton Anatole Hotel. Melinda Johnson, a TACA Board of Governors member and grants panelist, will chair the event. Known for her innovative and inspiring leadership, Julie Hersh is president of the Hersh Foundation, an outspoken advocate of mental health awareness and a generous philanthropist. She is current board chair for the Dallas Theater Center (DTC), recipient of the 2017 Regional Theatre Tony Award; AT&T Performing Arts Center trustee; sponsor of Arts and Letters Live for the Dallas Museum of Art; supporter of Dallas Black Dance Theatre, Cara Mía Theatre Co. and other theaters. Hersh is also a board member for the University of Texas Southwestern Medical Foundation and former board president of Dallas Children’s Theater. During Hersh’s tenure at DTC, she helped launch the enormously successful Public Works Dallas program, which seeks to engage people by making them creators, not just spectators of art. Author of the book, Struck by Living: from Depression to Hope, Hersh is uniquely qualified to connect the disciplines of theater arts and mental health research. 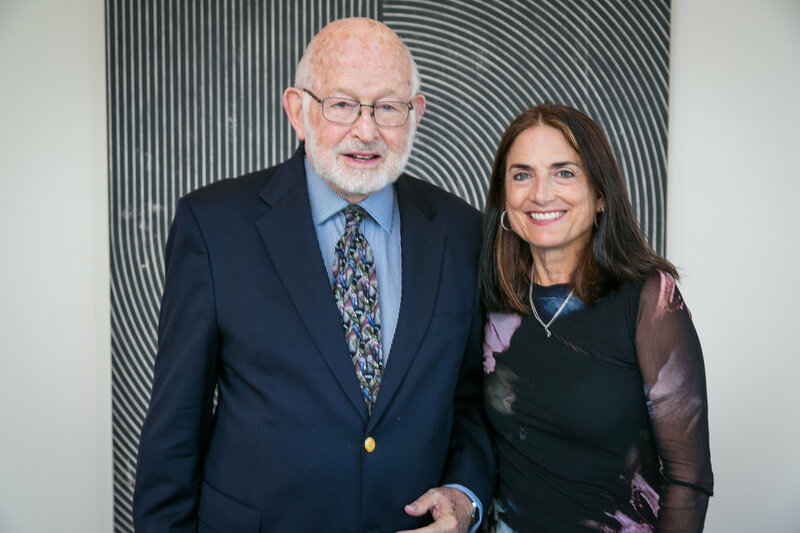 Through her combined work as DTC board chair and as initial funder of the Center for Depression Research and Clinical Care at UT Southwestern, she has encouraged the measurement of the impact of the arts on mental health in the community. She believes healing through the arts is an underutilized tool and has been a catalyst in opening conversations and strategic research between these disciplines. AAfter earning her BBA at the University of Notre Dame, Hersh worked in high-tech product development and marketing/sales in Silicon Valley. Her Struck by Living blog is featured on the Psychology Today website. She and her husband, Ken, were also the subject of Healthination.com’s True Champions series. Hersh is an avid runner, hiker and theater lover. Don Stone is described by those who know him as a philanthropist, civic leader, businessman, fundraiser and one of Dallas’ most loyal and stalwart supporters of all the arts. Often working behind the scenes on campaigns for numerous cultural organizations of all sizes, he has worn many hats and is most notably known as a longstanding champion of the Dallas Symphony Orchestra (DSO) and past chairman. A passionate advocate for new music, Stone and his wife, Norma, established the Norma and Don Stone New Music Fund at the Dallas Symphony Foundation. In addition to his commitment to the DSO and his profound belief in arts and culture, Stone has served in leadership positions with the Dallas Public Library, Voices of Change, Dallas Black Dance Theatre, Fine Arts Chamber Players, Orchestra of New Spain, Greater Dallas Youth Orchestra, Shakespeare Dallas and Booker T. Washington High School for the Performing and Visual Arts. Stone’s rise in business is the classic American success story. He started out in a Houston Foley’s store basement as a salesman, and rose to become vice chair of Federated Department Stores, now known as Macy’s, via presidency of Foley’s and Sanger Harris. He served as vice chairman of Federated Department Stores until 1988 and director of Fossil Inc. from 1993 to 2013. Stone received his BBA from The University of Texas at Austin and was inducted into the McCombs School Hall of Fame in 1992, where he served as chairman of the McCombs School Advisory Council from 1990 to 1992. For those interested in attending, tickets are $175 each and up, and tables of 10 start at $1,500 and can be purchased online. For more information, call TACA at 214.520.3930 or send an email to events@taca-arts.org.